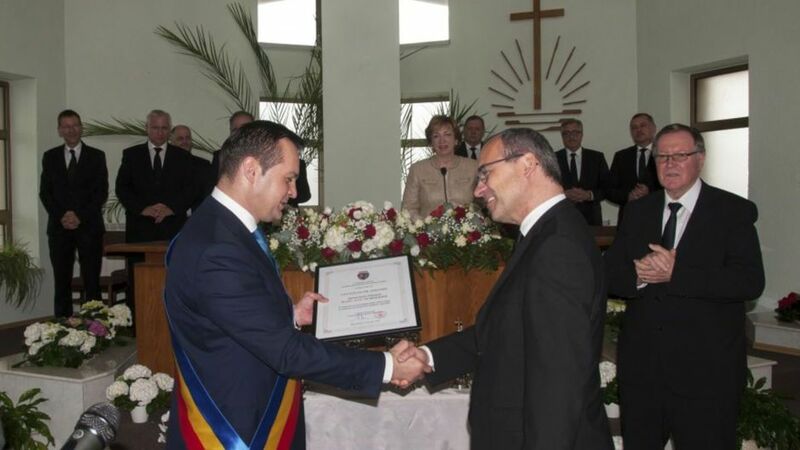 Chief Apostle Schneider immediately clarified who really deserves the honour: “You!” Prior to this, the Mayor of Baia Mare, Cătălin Cherecheș, had presented him with the honorary citizen award. The responsible Apostle in Romania is Vasile Cone. He is assisted by Bishop Georghe Sapintan. There are nearly 7,500 members in this country on the Black Sea and 250 ministers. The work of the Church in Romania is overseen by District Apostle Markus Fehlbaum of Switzerland. The first New Apostolic Christians came to Romania in the 1940s. Currently, there are 15 church districts and one hundred congregations. Baia Mare is the country’s New Apostolic stronghold. 14 comments - Log in now orregister.